I am one month away from my huge trip of the year. My husband and I are going to Andorra for three weeks. 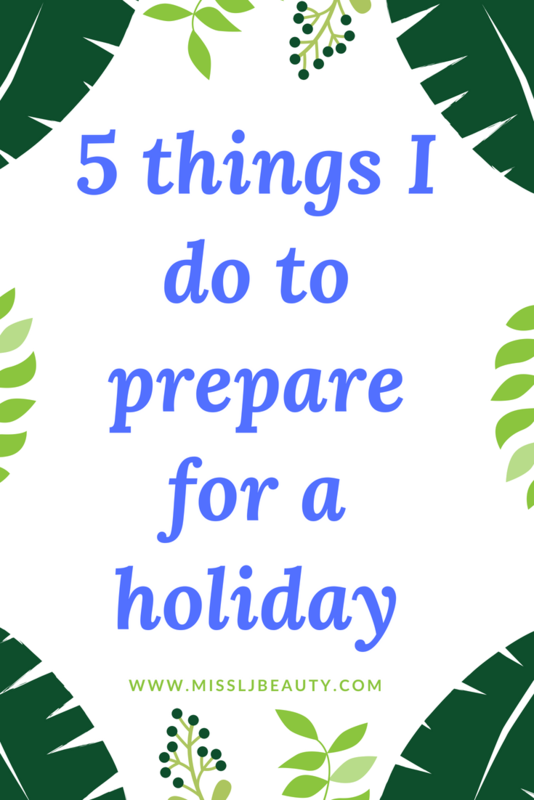 We plan on lots of mountain biking and lots of holiday fun. I couldn't be more excited. We will have a lot of things travelling with us. Including our bikes. 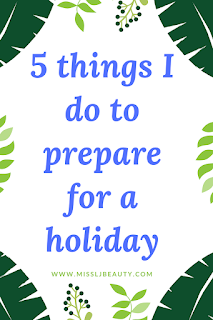 This is the perfect time to share with you the 5 things I do the month before a long trip. 1. Buy Travel insurance - Single and multi-trip. We are planning a few trips so I am in two minds whether to buy single trip or multi-trip. When looking at insurance it is important to check your cover. You need to know you are covered in the event of an emergency. We also need to be covered for downhill mountain biking. So checking the cover is super important and also can save you alot on money in the long run if something was to happen. 2. Stock up on sun creams and my favourite toiletries. These are always more expensive abroad. Especially if you are at a resort location. I like to make sure we have a range of sun creams in different factors. I forgot conditioner on one trip and I had to buy some at the resort. It was in Cuba. It was £15 for a tiny tub. I learned the hard way. 3. Call your doctor and check your injections are up to date. If you are going far afield check with the medical practice to see if there are any extra injections you need to be covered in that country. This is so important. I am a complete needle phobic but I always get everything the doctor recommends. These normally come with an extra charge in the UK. But I am more than happy to pay for the cover. When you are speaking to your doctor this is the time to stock up on any medication you take. I am asthmatic so I always get spare inhalers. 4. Take photocopies of all your important documents. I make an extra two copies. One I leave a home In case of emergency and the second set in the luggage. it gives me peace of mind when I travel. Also if your luggage is lost they can find you easily. 5. Buy good luggage. Have you really watched what happens to your bags as they are thrown from the plane into the conveyer belt? NO, I have. Pay for quality. I have seen a poor woman full suitcase emptied on to the conveyer belt. I have to say she was embarrassed and she was grabbing bits and pieces for a long time. The case looked like it has exploded. I remember helping her and her saying she told her husband they needed new luggage. From that moment on I spend that bit extra on my luggage.